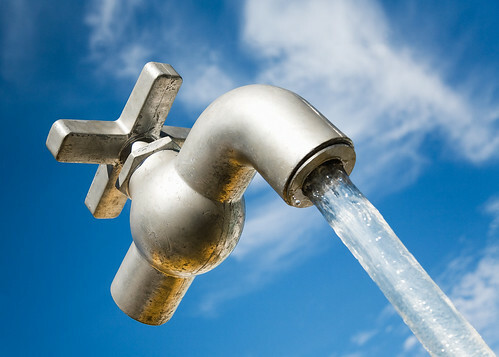 This is a major update of the post "Magical Floating Water Taps" made earlier. The contents of that post have been merged in this post. 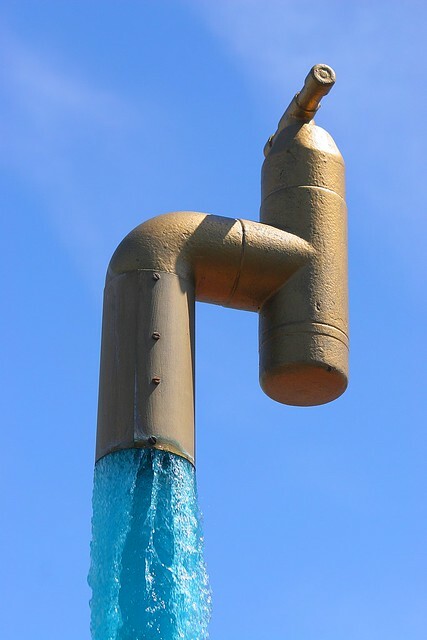 Magical Floating Water Taps are Public Art/Fountains which appear to be hanging freely in the air, have no apparent plumbing, yet deliver a constant stream of water. 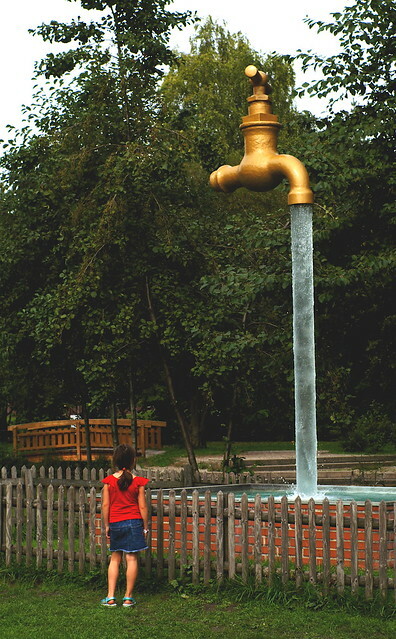 Such giant taps have been installed in several locations around the World. Based on Charles' comments I searched on WWW and found that desk top models for home decoration/amusement purpose are readily available in the market and similar magical taps have also been installed indoors in lobbies of hotels and other buildings. Some of the temporary installations which have not been placemarked. View location in Google Maps and Street View (Visible in Nov. 2009 Street View imagery). This photograph was taken by Akbar Akhtar (Please see Credits). A clearer view can be seen in this Flickr image. Another fine image can be seen in Flickr. 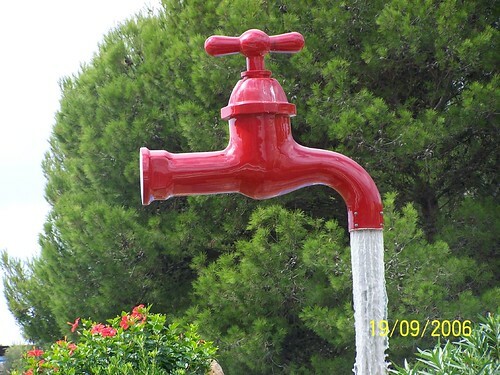 Try to guess how these magical floating water taps work else click here to see the explanation. View all locations in Google Earth: Download kmz file. 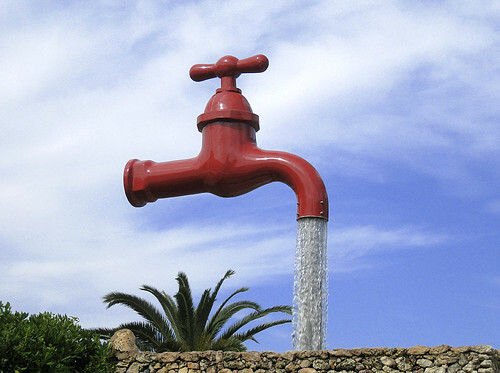 I had seen one such floating water tap in a post titled (Water Power) made by Late 'Danescombe' in Fun and Games section of Google Earth Community and curiosity led me to find some other taps. Danes (Dave in real life), was a master gamer, moderator and friend of the entire Google Earth Community (GEC). RIP Danes. You are gone but your great posts will forever remain a source of information for all us. Chris Davis and Dave Spracklen who informed me about the Floating Water tap at Aqualand, Costa Adeje, Tenerife, Canary Islands. 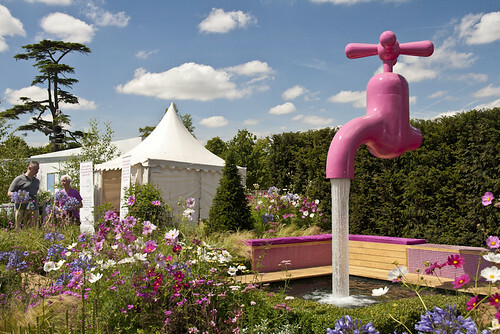 Hazel Caplan for helping me find Danes post and also for informing me about Hampton Court Floating Water tap. Kre Nek for locating the Floating Water tap at Winterthur, Switzerland. 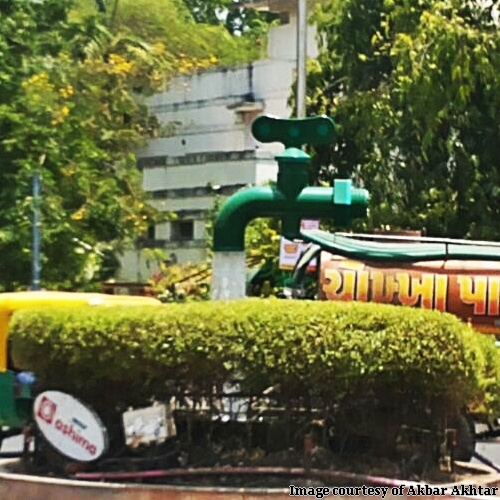 Akbar Akhtar, who on my request went out in blazing sun to take photograph of the Magical Tap at Ahmadabad. Bridgeplayer deserves special mention and thanks. 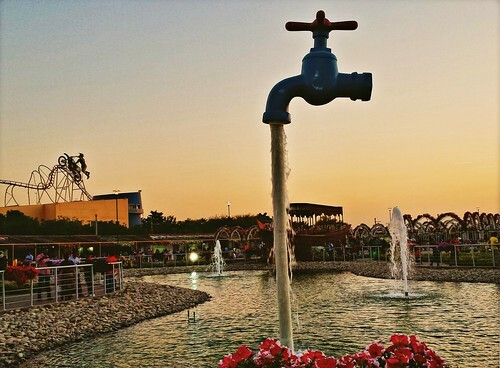 He not only informed me about the Magical Taps at Koksijde, Belgium; Ahmedabad, India; Cowes, Australia; Xel-há, Mexico; Sochi, Russia and Tampere, Finland, but also took pains to find the locations and search for relevant photographs for use in this post. 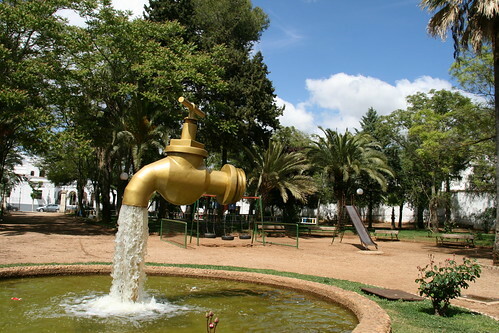 Note: Images of some of these Magical Taps have been posted on several blogs. However this post is different from others as I have tried to pin-point the actual location and placemark it. 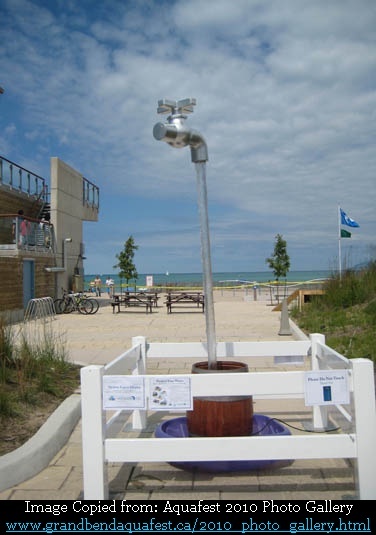 The locations of temporarily installed Magical Taps have not been placemarked.